Sklavenitis, the leading Greek supermarket chain, is planning to open a number of store where the emphasis will be on fresh products while another project foresees the showcasing of small Greek producers. The vehicle for the former will be small outlets that previously belonged to the Marinopoulos chain that Sklavenitis has absorbed, while the products of small Greek producers’ will have their own areas inside the group’s hypermarkets. The latter is already being piloted in cooperation with Kathimerini’s Sunday cooking supplement Gastronomos. Most of the 113 former Marinopoulos stores that have not yet been renovated, and are smaller than Sklavenitis supermarkets, used to operate as Carrefour Express outlets and previously under the Dia brand. These shops will soon offer a wide variety of fresh products, similar to Sklavenitis’s existing Fresh Market stores and others operated by rival chains, and will have the same opening hours as Sklavenitis supermarkets. 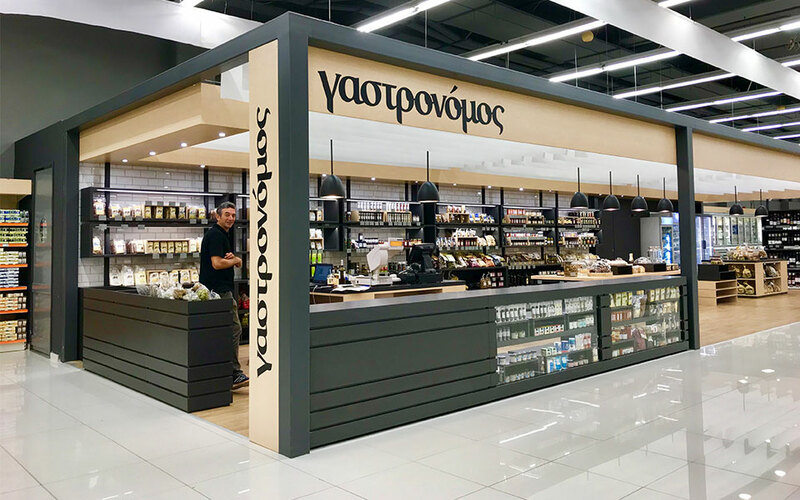 Last week the Sklavenitis hypermarket inside Maroussi’s Avenue mall launched its first shop-in-shop offering select products from small producers around Greece. The joint initiative with Gastronomos will expand to more Sklavenitis stores if the pilot proves successful.